Bring a piece of furniture and some idea of what you want to do to it and we will show you how to achieve it. 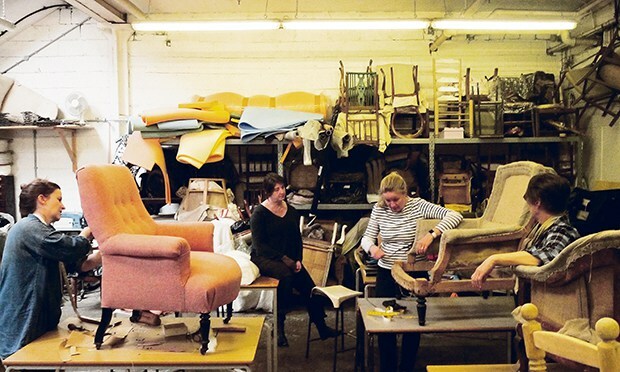 Restore it, upholster it or upcycle it! 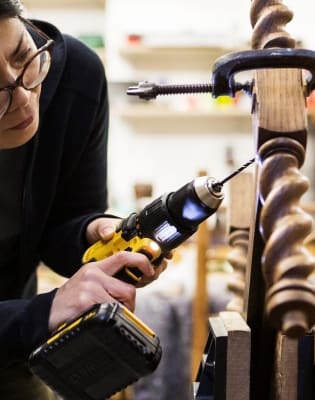 We will teach you whatever you need to know to turn a sad piece of furniture into something special. You can upholster it, paint it, decoupage it, restore it, transform it, or turn it into firewood if you want. 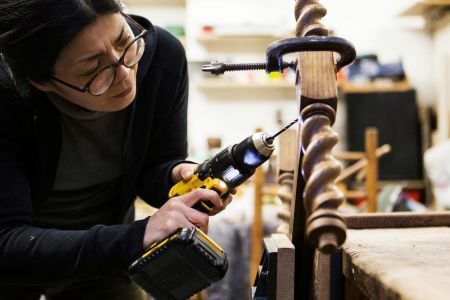 Come and spend a day in our Dalston studio - use our bench space, materials and tools, but perhaps more importantly our know-how, to turn your idea into a reality. Teaching hours are 10.00am to 5.00pm, and you will have an hour off for lunch. 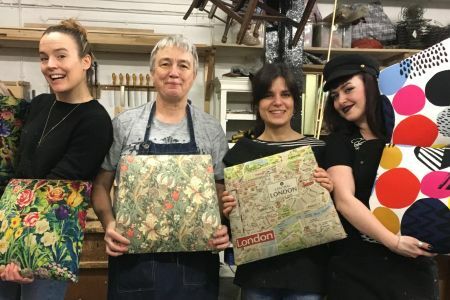 Class size is limited to 8 people, the studio is spacious and well-equipped; there are two expert upholsterers and restorers on hand to show you what to do, and it is always a busy and fun day. 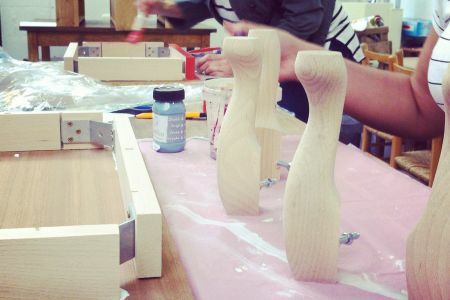 The School of Stuff is a studio dedicated to teaching furniture crafts in Dalston, East London. They run evening classes, weekend courses, and longer training courses for career changers. 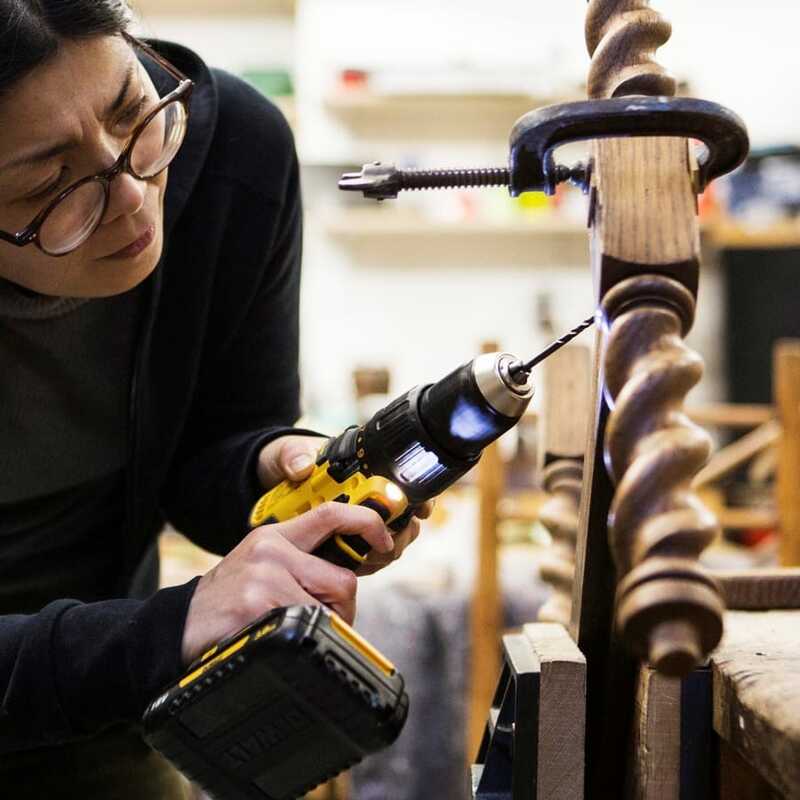 Core subjects are upholstery, furniture restoration and furniture making. 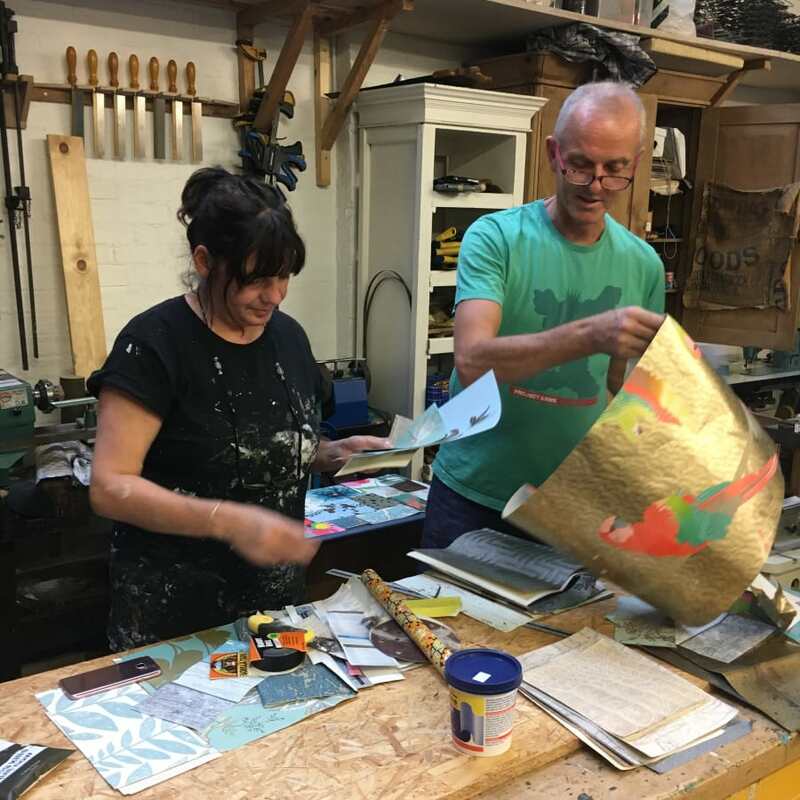 The core teaching team are working upholsterers, furniture makers and restorers, who are also all experienced teachers. There should be something for everyone – as long as it's furniture-related. Bring a piece of furniture and an idea or two. Let us know beforehand roughly what you want to do, so that we can make sure we have everything here that you will need. Wear clothes you don't mind getting dirty, and sturdy footwear. A notebook and a camera would be good too.